Leeds-based data center operator aql, which has two two data centers on the south bank of the UK city, has been working closely with air conditioning manufacturer Airedale International to design and build a prototype district heating recycling scheme. The operator plans to use the waste heat to warm its own 300 seat city center conference auditorium and said it could also be used to provide heating to The Tetley – a nearby contemporary art space initiative operated by Project Space Leeds. It is not the first time the operator and communications company, that recently rolled out metropolitan fiber throughout Leeds, has turned to innovative solutions to ensure greater efficiency at its operations. In June it said it would deploy 24 “old” phone boxes, painted blue and equipped with solar panels, to house its network equipment. The boxes, designed by Sir Giles Gilbert Scott, who designed the Battersea Power Station, also provide free wifi points around the city. 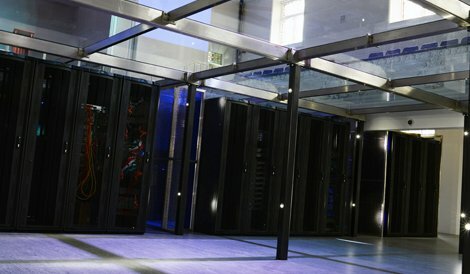 Power use has grown at the aql Leeds data centers in recent years, according to aql CEO Adam Beaumont, driven by the connectivity offered through the Leeds Internet Exchange (known as IXLeeds), housed in one data center, which provides a connectivity hub for the entire Yorkshire region. Beaumont said fast growth has led to more IT equipment being installed in aql data halls, triggering a greater demand for power and the generation of a lot of waste heat. "Our latest project with Airedale is to investigate the feasibility of building a prototype district heating scheme capable of providing several hundred kilowatts of heating by 'recycling' waste heat from our data centers,” Beaumont said. Airedale already provides aql data centers with cooling solutions that integrate its free-cooling chillers using cooler ambient air outside to cool intelligent indoor units to deliver precise climate control within the data center, minimizing energy consumption and ensuring no energy is wasted.